Don't know how I missed this thread! One of these years you will shoot something worth taking pics with... Congrats on a trashy stud man! That's great! Heck of a way to finish up!!! Great buck congrats! He's blind in that left eye. Get him mounted that way with smoke eye. It'll be cool and realistic. Congrats! Hunt In: Where ever ELK live. Kansas and Fisher co. Yes sir. Let’s see some guesses. I’ll post score this evening. Lol... I'll keep my mouth shut. Then yea I am way low. I only had 13 points. Just went back a page and saw the pictures of the skull cap and your hint of a 16" G2. Last edited by AgHntr10; 09-21-2018 at 10:06 AM. CONGRATULATIONS on a freakin beast of a deer !!! Major uplift after not recovering the other deer. Heck of a deer man, congrats!! Final talley is 181 3/8 gross. Nets are for fishing! Thanks everyone for following along and for the words of encouragement! 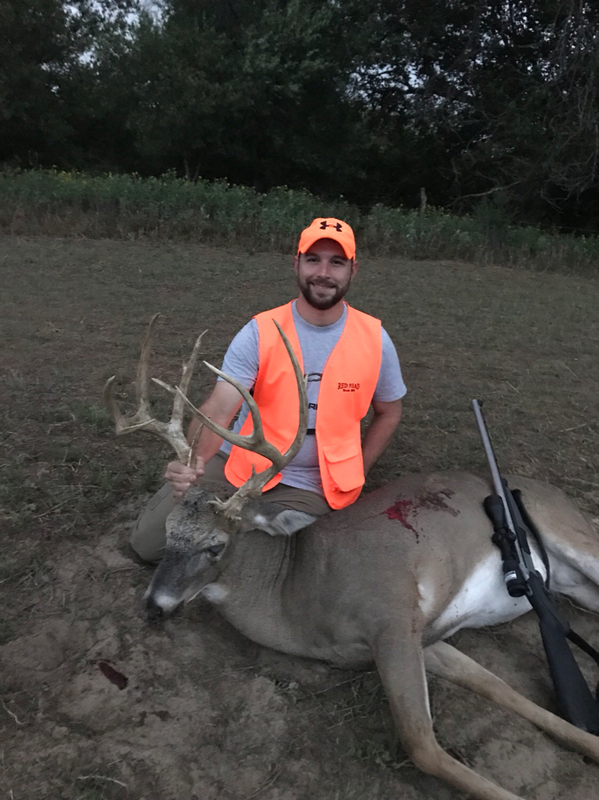 Congrats on a buck of a lifetime! You need new hunting buddies!!! Call Of The Wild Outfitters? Wow! 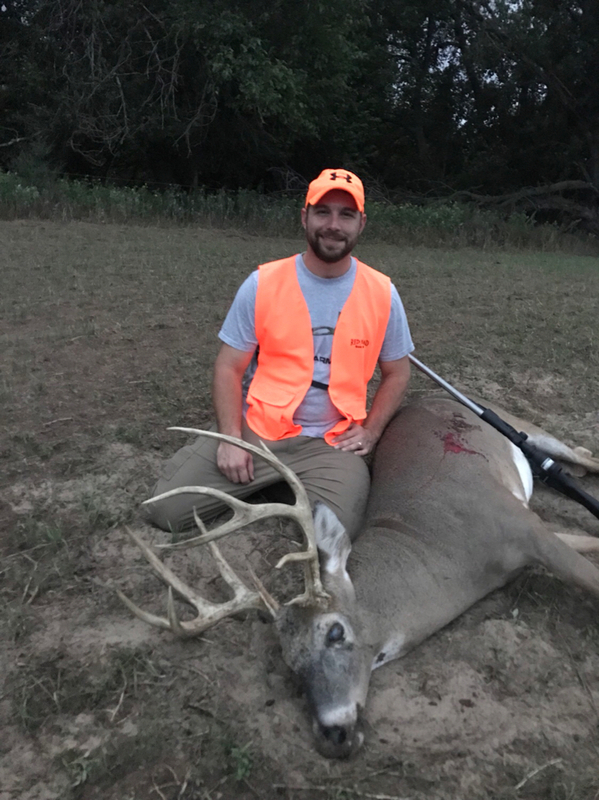 Helluva deer man, congrats! LOL. I know thats right. They are pretty tight and do not want to put in the work to get it done. great guys just not the adventerous group. Tag soup would really make them upset. I will be up there next year even if I have to go by my self. Shoot me a PM when you get ready if you decide to go public, and I’ll get you some info. I told someone before I left, I really wanted something with some trash. Pretty stoked. 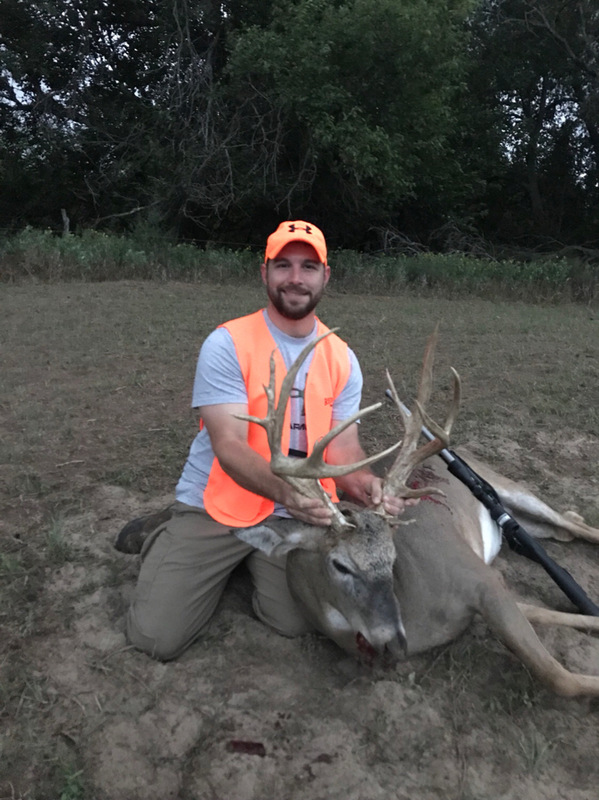 Now I get to go drop this one off at the taxi this weekend and pick up my East Texas buck from last year while I'm there! Great week! Congrats on the stud! Sounds like i need to plan a trip to Kansas one of these days. You posted the core before I could put in a guess. I had him at 184" so only off by about 3". Just getting caught up on some threads after being out of town for few days. Wow!!! Congrats on the fantastic trophy, and thanks for bringing us along on such a nail-biting adventure. Kansas and Incoming Fronts will get them on their feet EVERYTIME... Great Buck and Congrats on the harvest.. THIS! Me too. Congrats OP!